On May 18th, 2017 the formal roll-out occurred of this years’ 31 Squadron ‘Tiger ‘ color scheme. 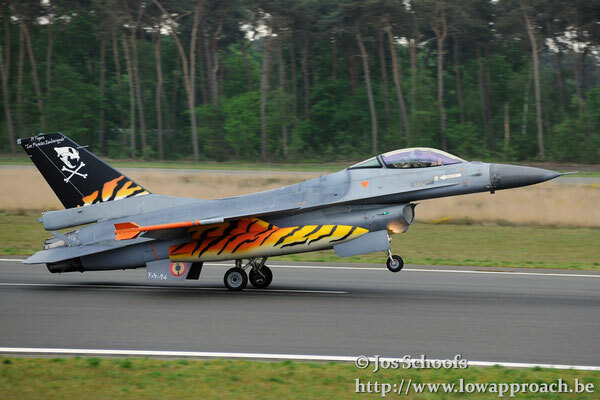 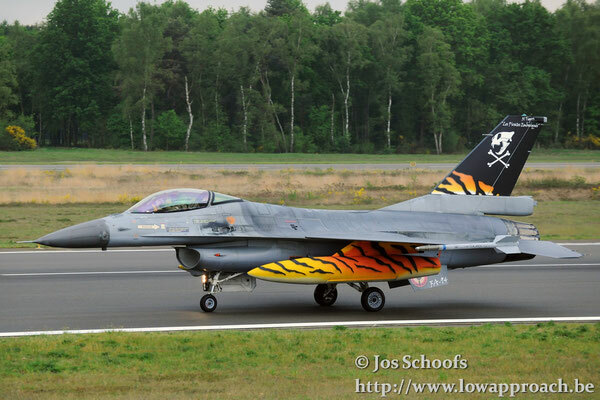 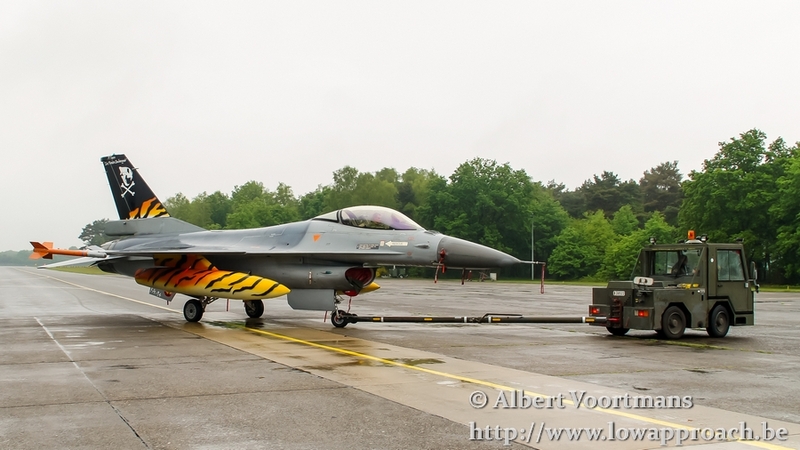 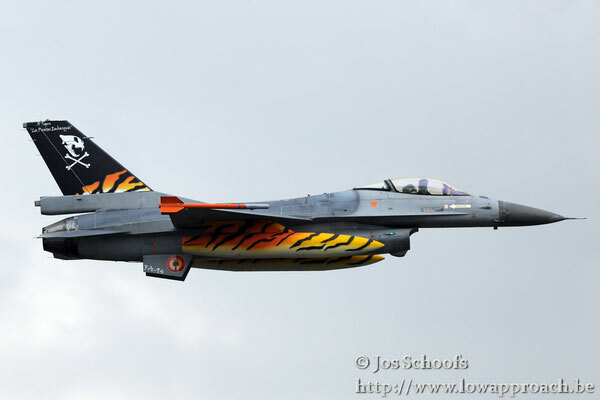 The creation of a new color scheme is becoming an annual tradition in preparation of the upcoming NATO Tiger Meet. In 2017 this exercise will be held at Landivisiau in Brittany, France. Landivisiau is the homebase of Flotille 11F, part of the Aéronautique Navale (French Naval Aviation), who has the honor of organizing the 2017 edition. 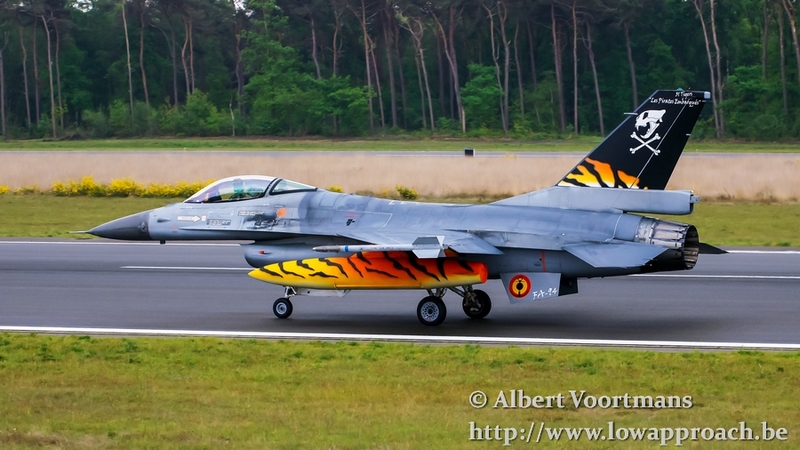 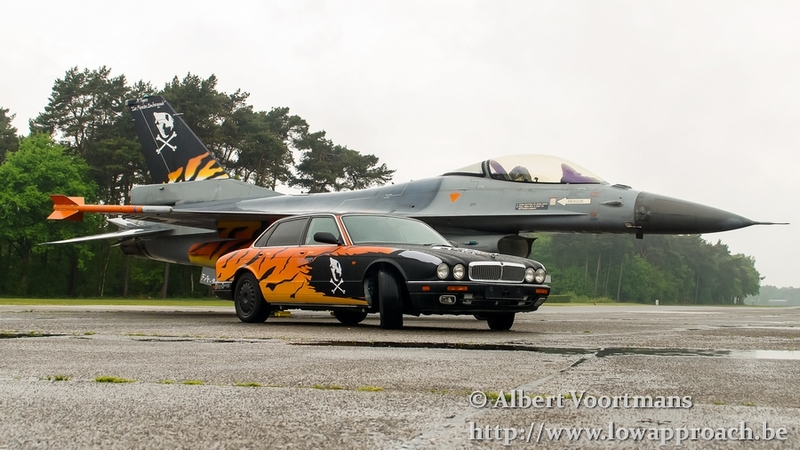 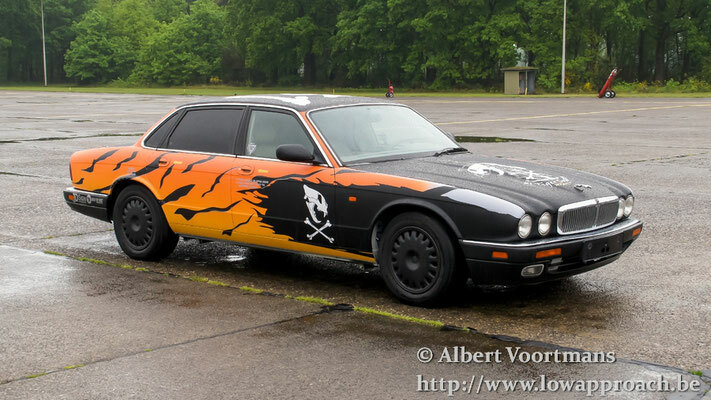 For the creation of the color scheme the squadron used the inspiration of one of their own members, ‘Vrieske’, who came up with the idea for both the aircraft, with registration FA94, as the ‘Tiger’ car. The application was put in the hands of the ‘10 W Tac Paintshop’ team. 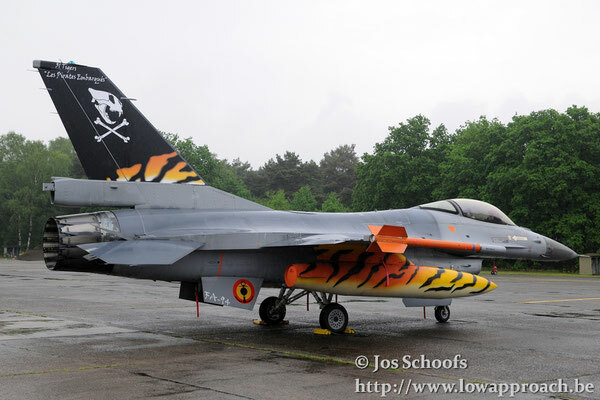 The color scheme has been designed around a ‘Pirates’ theme, as a referral to the location of this years’ exercise. The tail is black with a ‘skull and bones’design. 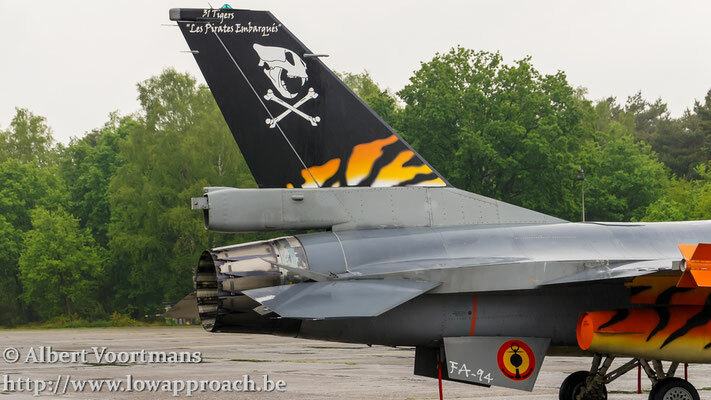 On the fins the Belgian air force roundel has been ‘modified’ with the addition of an anchor, as such recreating the roundel used by the Belgian Navy Flight helicopters until a number of years ago. 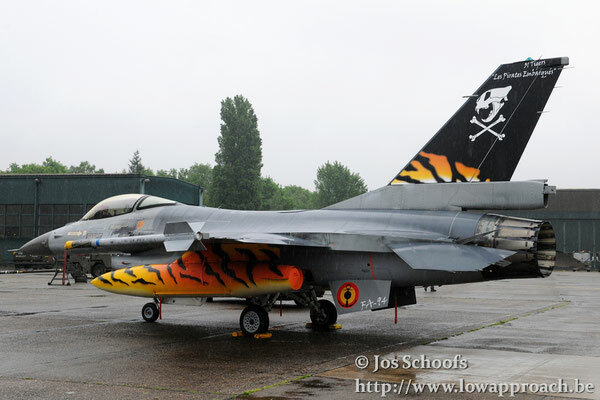 The droptanks are not new, these are the same as last year. Weather conditions on the day of the roll-out were very bad and the planned flight in the morning had to be postponed until later in the day. However the present photographers were allowed to re-enter the base in the afternoon to capture this first flight. 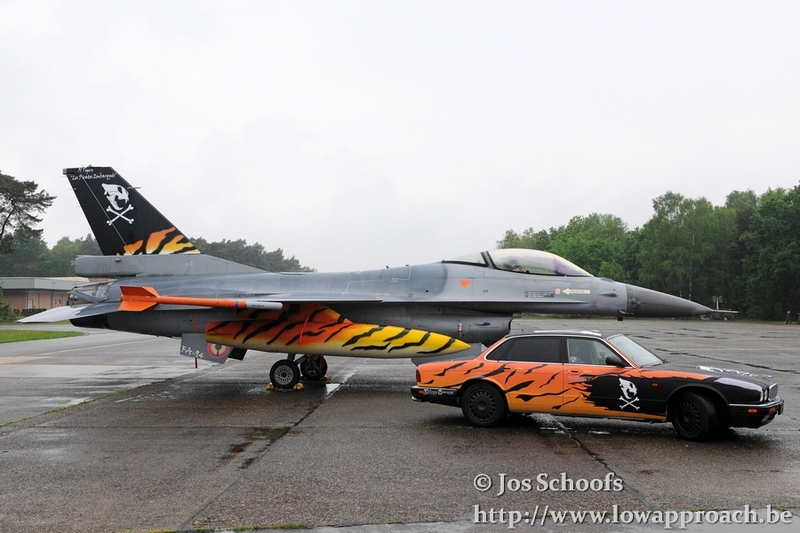 Unfortunately no Low Approach member was able to attend in person, but we decided to pass on the invitation to two of our friends, Jos Schoofs and Albert Voortmans, who came home with the following pictures. The Low Appproach Team wants to thank 31 Squadron and the 10 W Tac Public Relations for the invitation and off course Jos and Albert for the pictures.